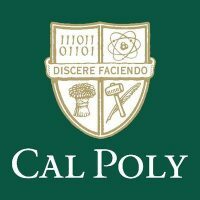 Is crime on the rise at and around Cal Poly? An annual security report released by Cal Poly suggests some crimes are on the rise on campus and in nearby areas, while other offenses are declining and some criminal acts are remaining close to static or swinging up and down. Many of the statistics released in the report only derive from crimes that were reported to have occurred. It is not necessary for the crime to have been investigated by police or prosecuted in court for it to be counted in the security report. Over the period of 2015-2017, no killings occurred on campus or in nearby areas. About 10 rapes were reported annually during that period. Fondling and stalking reports trended up over the last three years. In 2015, there were no reports of fondling on or near the Cal Poly campus. The number of fondling reports rose to five in 2016 and eight in 2017. Seven of the eight fondling incidents reported last year occurred on the university campus. Meanwhile, reported stalking incidents rose from one in 2015 to two in 2016 to five in 2017, all of which occurred on campus. Weapons arrests also trended up. After dipping from two in 2015 to one in 2016, there were five weapons arrests on and around the Cal Poly campus in 2017. Burglaries likewise trended up. Following eight reported burglaries in 2015, there were 16 in 2016 and 15 in 2017. Robbery reports are not nearly as common on and around the Cal Poly campus. One robbery was reported on campus in 2016, and one was reported in a public area adjacent to the campus in 2017. Drug and liquor arrests both spiked in 2016. Drug arrests totaled 16 in 2015, 37 in 2016 and 12 in 2017, while liquor arrests totaled 25 in 2015, 58 in 2016 and 46 in 2017. Auto theft reports followed an opposite trend, dipping considerably in 2016. Just one auto theft was reported in 2016, while in both 2015 and 2017, there were seven reports of auto thefts. Reported rapes increased from nine in 2015 to 11 in both 2016 and 2017. In 2016, 7 of the 11 alleged rapes were reported to have occurred on campus, while in 2017, 10 of the 11 alleged rapes were reported to have taken place on campus. Dating and domestic violence trended down slightly. Reports of dating violence decreased from two in 2015 to one in 2016 and zero in 2017. There was one domestic violence incident reported in 2015, followed by two in 2016 and none in 2017. Lastly, neither arson nor aggravated assault are common on or around the campus. There were two reports of arson in 2015, followed by one in 2016 and none in 2017. In both 2015 and 2016, a single incident of aggravated assault was reported, while there were two aggravated assault reported in 2017.